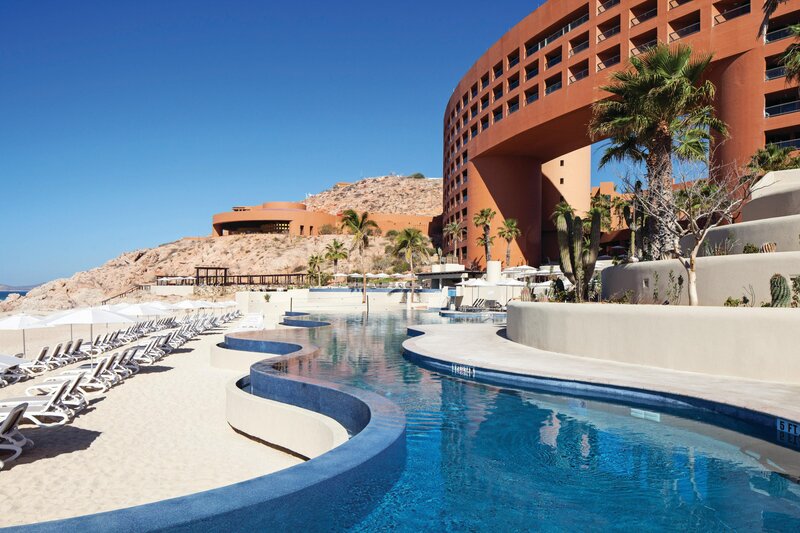 Perched on gentle cliffs overlooking the Sea of Cortez, this magnificent architectural landmark is also a cherished vacation retreat. 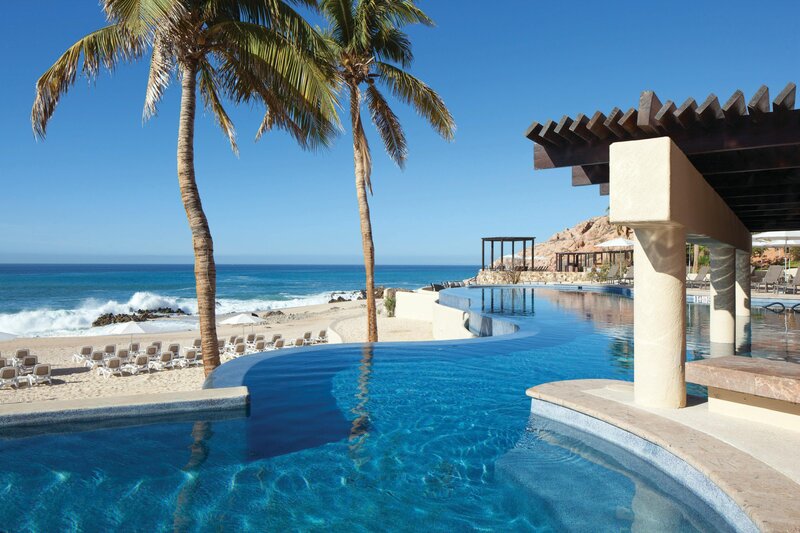 Enjoy four refreshing resort pools, recharge at Spa Otomí, relax on the gorgeous private beach or take in local culture. After a sun-filled day, recharge your body and soul in the intuitively designed, stylish deluxe room, studio villa or one and two-bedroom villa comfortably accommodating up to six adults in as much as 1,486 square feet. Each villa comes complete with luxurious like-home comforts including a kitchen or kitchenette, washer and dryer, and generous living and dining areas as well as unforgettable panoramic Pacific Ocean views from your private balcony. Once you experience the villa difference, you’ll never want to vacation any other way. Your spacious studio ocean villa, one-bedroom ocean villa, or two-bedroom ocean villa comfortably accommodates up to eight adults in as much as 1,486 square feet. Villas come complete with luxurious like-home comforts including a kitchen or kitchenette, washers/dryers, living spaces, complimentary Wi-Fi, and resort amenities without the resort fees. Each villa invites guests to gaze at the Pacific from the comfort of a private furnished balcony. Sliding-glass doors lead inside, where elegant tiles run throughout a spacious open floorplan with contemporary hues and millwork. Take a refreshing dip in one of our resort pools, the perfect places to relax. 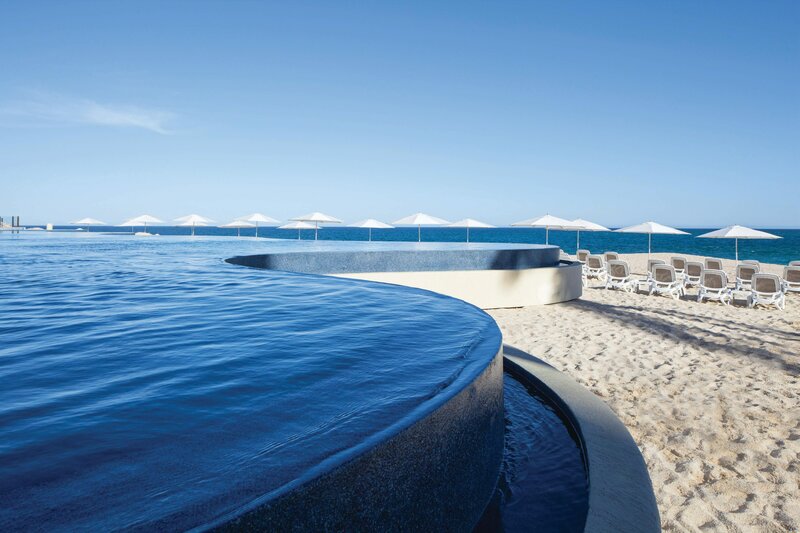 Whether reclining poolside in a lounge chair or enjoying a beverage at our swim-up bar, Margaritas, our courtyard pool or surfside Infinity Pool are ideal for unwinding under the warm Mexican sun. At the tip of Baja, mountains and desert meet the sea in perfect harmony, and contrasting wonders await to soothe and excite. 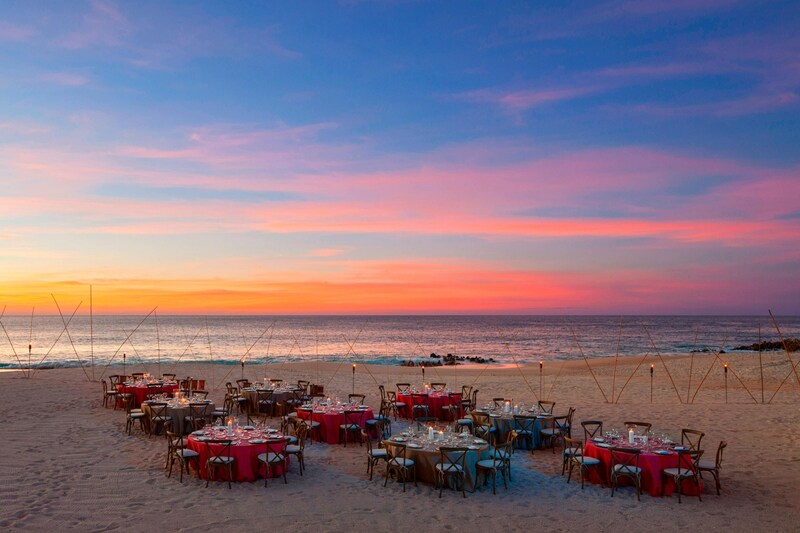 Los Cabos presents two towns with two moods and two styles: Cabo San Lucas and San Jose del Cabo — one a vivacious party town and the other a sophisticated travelers’ haven waiting to be explored. Golf, deep-sea fishing, water sports, all-terrain adventures and shopping are readily available. 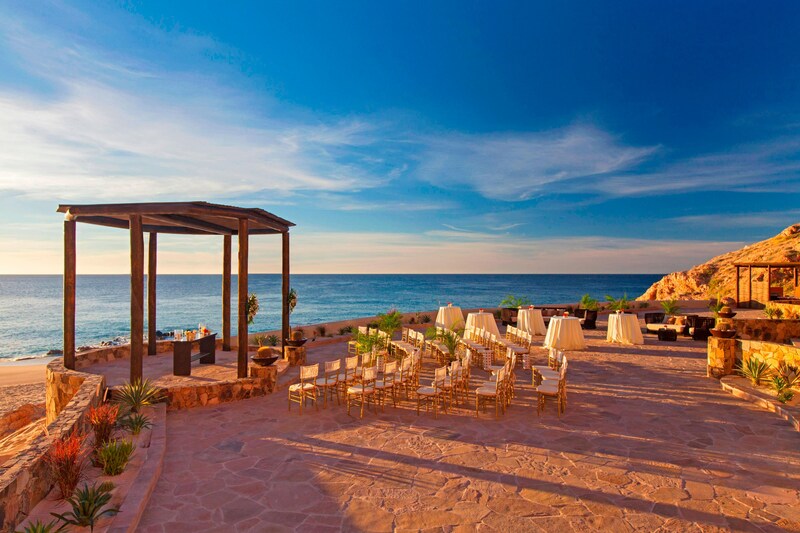 Thanks to our many beautiful outdoor spaces, you can customize your perfect destination wedding. 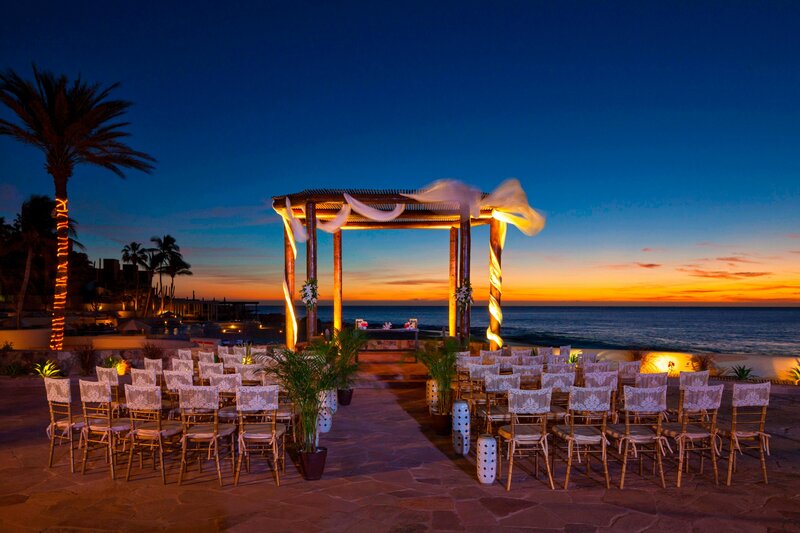 Stage your sunset ceremony on our picturesque private beach or at an amazing terrace with dramatic ocean views. Whether indoors or outdoors, our venues are ideal for dinner and dancing for up to 200 guests.